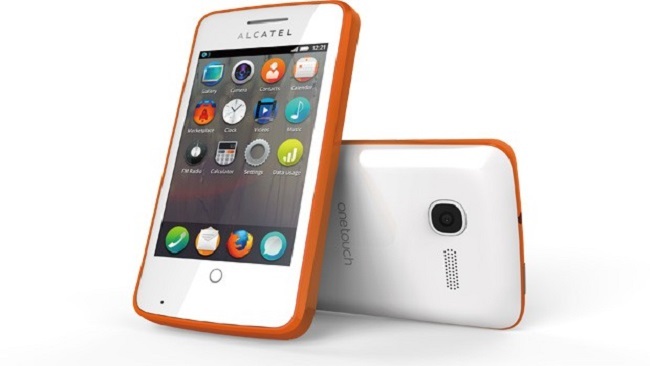 It was only last month that the Firefox officials had claimed that they were about to launch there two smart phones ZTE open and Alcatel One touch fire. This announcement was made at FFC, it was further noted by the official team that the days were approaching of their big launch of the two smart phones that would come with the Mozilla Firefox html open source operating system featured in them. At the Conference for the Mobile world in Barcelona earlier this year the first time announcement were heard from the Mozilla crew about the speculated smart phones that would come in with featured operating system of Firefox in built in them. Thus, in July 2nd officially the smart phones ZTE Open and Alcatel One touch fire were launched and completely available for commercialization purposes in Spain. The Mozilla had made a partnership with telecom agents Telefonica, which resulted in their first launching in Spain, which would be followed by Venezuela and Cambodia. Meanwhile the smart phone will be available to the rest of sooner or later once the other telecom partners announces on their own countries. People are all anxiously waiting to grab a taste of these two smart phones. So let’s drive on their prices and specs. •	PRICE: If you are looking for a device that would be not too high priced to reckon with, and has almost all the basic and some classic functions and specifications stuffed in it , the latest released ZTE open smart phone featuring the open source Firefox browser can be a big bet to try for. As the price is quite less and at the same time for a user who would switch to a smart phone usage for the first time, this smart phone can be quite a commendable one to recommend to any. The price of this smart phone is kept at a low of $90 only. •	FEAUTRES: The ZTE open smart phone has quite a classic and clique design. The smart phone comes in with a 3.5 capacitive screen resolution. The smart phone has the camera power of 3.2 megapixels intensities which is not bad rather is quite a good one if compared with some of its contemporaries. The performance storage of this phone stands quite solid with a RAM of 256 MB and ROM of 512 MB. The screen comes in with a TFT quality screen. The smart phone, ZTE Open has some great interesting functions also like the scheduler, email, built in styles for the camera functions, the NOKIA here for the location tracking, it comes in with a browser of Firefox. •	SPECS: In the apps department this smart phone can easily be a power house, as it has great apps of local and international topics covered from the Mozilla marketplace. If a person is looking around for contents on any topic then they can select from the huge options of eBay, Huffington post, CNN money and lots more. Apart from the most common apps like Facebook and weather channel apps this I quite an attractive quality of the smart phone. •	PRICE: If you are thinking that the ZTE one is all that one would think of, then you are wrong with the second phone that is launched, Alcatel one touch fire, you can find a lot of options to try for. This phone has specially tagged by the Mozilla team as the “easy to use “and “easy to choose”. To explain the terms we can say that the usage and interface is quite easy just as the ZTE open, but the choices are many, as the Alcatel one touch fire comes with seven vibrant color choices, from where you can select your preferred one. The price of the phone is kept at low as $90. •	FEAUTRES: When speaking about the design of the phone, it comes in with compact and easy to fit in pocket compatible device. The screen is TFT capacity with 3.5 inches. The processor is of 1GHz and it has sensors of proximity and light. It has a micro SD card support of 32 GB. The battery performance of the smart phone is at 1400 mAh. The phone has dimension to boast about at 115 x 62.3 x 12.2 mm. The internal storage of the phone is at 256 MB. This phone is expected to launch the commercial market through the Deutsche Teleko. Thus, with all these we can say that it looks t be a very smart approach by the Firefox to sell less priced smart phones to the common man. All the people are anxiously waiting to try their hands on the latest phones from Firefox to get a firsthand experience of the open source Mozilla browser in mobile.